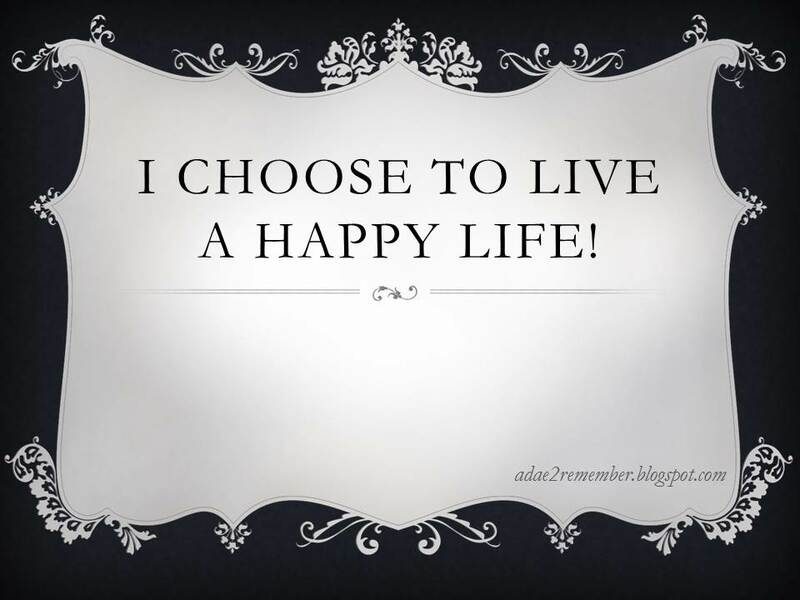 Adae To Remember: HOW TO LIVE A HAPPY LIFE: It's Your Choice! Living a happy life is a choice. If you will keep on doing the list above, then you will not get a chance to be happy in your life. Every day we make choices. Upon waking up, we have a choice to get up from bed or stay for a while to snuggle with our pillows.. You'll choose what to eat, what to wear, what transportation to use on your way out and so on. The rest of our lives, choices must be done. 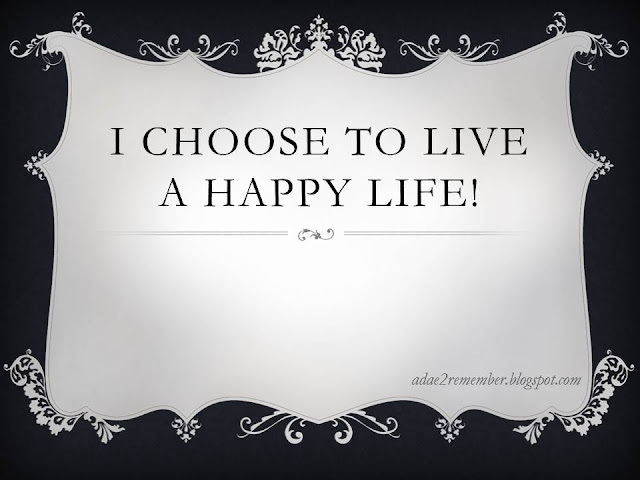 It is your choice to live a happy life!